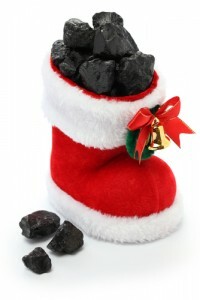 Trumped: House Hunters Get A Lump Of Coal In Christmas Stockings - Association Evaluation LLC. Home buyers and owners seeking to refinance will find a lump of coal in their Christmas stockings thanks to President-elect Donald Trump. Economists say mortgage rates in early December skyrocketed to a high for 2016 in anticipation of higher inflation under President-elect Trump’s administration and a long-forecasted Federal Reserve Board (Fed) interest hike this week that are expected to push the cost of borrowing higher. Eyeing the prospect of a more vibrant economy in 2017 and more rapidly rising prices, lenders are hiking interest rates, experts say. Economists are predicting home-loan rates of 4.5 percent by the end of 2017. Freddie Mac’s latest mortgage-rate survey posted an average of 4.13 percent for benchmark 30-year fixed rate home loans—the largest interest rate for that loan in 2016. According to Freddie Mac’s Primary Mortgage Market Survey, the 30-year loan jumped to 4.13 percent on December 8th from an average of 4.08 percent a week earlier. It was the sixth week in a row that rates moved higher. A year ago, 30-year loans averaged 3.95 percent. The 4.13 percent rate hike boosts the typical the monthly payment on a $200,000 mortgage about $6 a month. Fifteen-year fixed rate loans averaged 3.36 percent, up 3.34 percent a week earlier. A year ago at this time, the 15-year fixed-rate loans averaged 3.19 percent. “The 10-year Treasury yield dipped this week following the release of the Job Openings and Labor Turnover Survey,” said Sean Becketti, chief economist, Freddie Mac. The average 30-year mortgage rate started the month 18 basis points higher than this time last year, he said. Long-term home-loan rates are not set by the Fed. They are tied to the yield on 10-year U.S. Treasury bonds. Ten-year Treasury bond yields have risen sharply to 2.35 percent from 1.6 percent in the third quarter of 2016, pushing loan rates higher. “As rates continue to climb and the year comes to a close, the December 13th-14th Fed meeting will be the talk of the town with the markets 94-percent certain of a quarter of 1 percent rate hike,” Becketti said. Higher interest rates have caused refinancing activity to plummet 28 percent in November. However, home loan applications for home buyers are still marching along at a strong pace because many “fence sitters” are purchasing now to avoid higher rates later. • History is on your side. On the positive side, home-loan rates still are historically low. The annual average rate from 1972 through 2011 was higher than current rates. In 1999, benchmark 30-year mortgage rates were 8.15 percent. • Lower down payments available. New programs at Freddie Mac and Fannie Mae allow the secondary mortgage market gurus to purchase loans from lenders with lower 3-percent to 5-percent down payments, opening the homeownership door to more young, first-time buyers. • More lenient credit scores. The average FICO score for home buyers obtaining mortgages backed by Freddie Mac currently is 750, a relatively high score. However, if a borrower is approved for a Federal Housing Administration-insured (FHA) loan, the score averages only 700.